The “fruit juices and snacks” restaurant is objected at offering healthy juice and snacks that are free from the toxins. The juice and snacks will be processed from farm produce such as fruits, cucumber, black beans, vegetables, whole grains etc. The major objective is to introduce juices and snacks which are not contaminated with any impurities. Juices and snacks that exist in the markets use a chemical to uplift their flavour and lifespan. Some of the substances used to raise the lifespan of these products development have been found to have an affection in human health (Grekovaet al, 2014 pp.174-187). 1. To provide quality food and beverage products at a favorable price. 3. To uplift the health of consumers through the production of food and beverage products which are toxic-substances free. The main mission is to offer a dining experience that is unique and genuine. We will work hard to obtain this goal by the provision of menu items incorporating quality juice and snacks products at fair prices. The restaurant will be regardful to all the stakeholders by handling every individual with dignity and respect. 1. The management will innovate in offering training lessons to the employees so as to upgrade the service quality. 2. The restaurant management will high innovate on technology so as to make the whole process mere effective. 3. The restaurant will innovate on location so as to make it accessible by many consumers. The rate of consumption of juice and snacks in the country portrays a growth rate of 13 % (as analyzed by IBISWORLD statistics). With such a high growth rate there is a need to provide food and beverage products which are free from chemical substances which are added to improve the lifespan. Some substances used to result in heart diseases (Grekovaet al, 2014 pp.174-187). 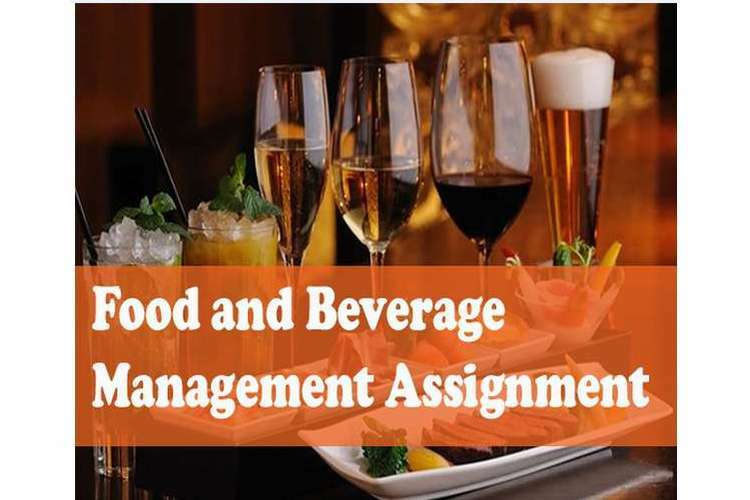 The analysis is used to determine the viability of the business idea involving the food and beverage restaurant. The analysis is conducted by checking the technical, market and commercial feasibility. Overall risk assessment activity is also conducted during the analysis. Checking the business against the feasibility analysis description the restaurant business can be said to have met the market requirements. 2. It is easy to make any required adjustment as per customers' needs because the food and beverages are produced within the restaurant. 3. With cheap production process, there rises a big chance for making more profits (Valta et al, 2015 pp.3335-3347). 1. The process of acquiring and training employees is expensive and problematic. 2. There arise high chances of making a loss as the products have a short lifespan. The restaurant will operate 7 days a week as shown. To make sure effectiveness is portrayed in operations, the working team will be sub-divided into several departments such as financial, purchasing, production department, and customer-services departments. Every department will perform specified tasks. Financial duties will be performed by the financial department. The Purchasing department will be making sure that raw materials are available. The Customers will be served by “Customer service team/department. The restaurant management will create a research team which will always keep the restaurant-finance department updated on the current cost of the raw materials. The created team will also help the restaurant in purchasing and searching the raw materials. Insurance will be applied to the properties raw materials to ensure safety in case of theft or fire accident. The business will rely on self-production of food and beverages. The products will be free from chemicals. To improve the lifespan of both raw materials and the products the restaurant will heavily invest in technology-based storage such as the use of refrigerators (Valta et al, 2015 pp.3335-3347). To create an effective and friendly marketing environment the business will highly implement plan the 7Ps marketing strategy (Jung and Yoon, 2012 pp.369-378). 1. Price. The will involve all the pricing method so as to absorb competition force from competitors which are affected by the pricing issues. Some of the pricing strategies include; premium pricing, economy pricing penetration pricing etc. 2. Product. The quality of the products offered by the restaurant is highly valued. The restaurant has put in place the health concerns of the customers by obtaining foods and beverages free from any chemical. This will result in the attraction of a higher number of customers. 3. Place.to achieve the celebrity of the business, it will be located in a station where there existed a related restaurant-business before. The place is also accessible to many people. With these location advantages, the restaurant will experience a super marketing environment. 4. Promotion. The restaurant management will invest in an advertisement so as to expand the celebrity. Advertisements will be made through televisions, radios, and Facebook. 6. Process. The management will innovate on the process which will be fast and effective for the customers. By employing skilled personnel acts as a way of perfecting the service offering process. 1. The employee should have at least one year of experience in the applied department. 2. He/she should be literate. 3. He/she should be ready to work under minimal supervision. The business will be a partnership entity where two or more investors will contribute fund for the launching of the restaurant. At the beginning of the business, the operation will be ran using the funds contributed. The business will then be run using the acquired funds from the customers. A certain portion of the profit acquired will be used to expand the business. Remaining profit will be equally shared among the investors (Chen et al, 2015 pp.569-576). 1. Chen, E., Flint, S., Perry, P., Perry, M. and Lau, R., 2015. Implementation of non-regulatory food safety management schemes in New Zealand: a survey of the food and beverage industry. Food control, 47, pp.569-576. 2. Grekova, K., Bremmers, H.J., Trienekens, J.H., Kemp, R.G.M. and Omta, S.W.F., 2014. Extending environmental management beyond the firm boundaries: An empirical study of Dutch food and beverage firms. International Journal of Production Economics, 152, pp.174-187. 3. Jung, H.S. and Yoon, H.H., 2012. The effects of emotionalbusiness intelligence on counterproductive work behaviours and organizational citizen behaviors among food and beverage employees in a deluxe hotel. International Journal of Hospitality Management, 31(2), pp.369-378. 4. Valta, K., Kosanovic, T., Malamis, D., Moustakas, K. and Loizidou, M., 2015. Overview of water usage and wastewater management in the food and beverage industry. Desalination and Water Treatment, 53(12), pp.3335-3347.